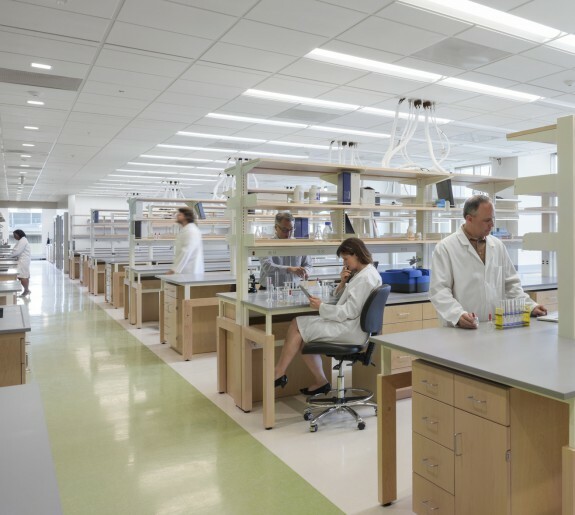 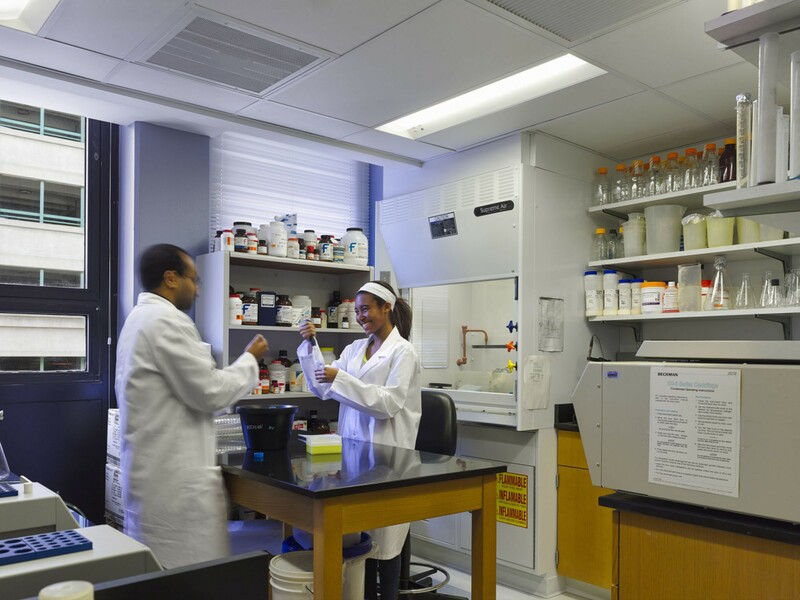 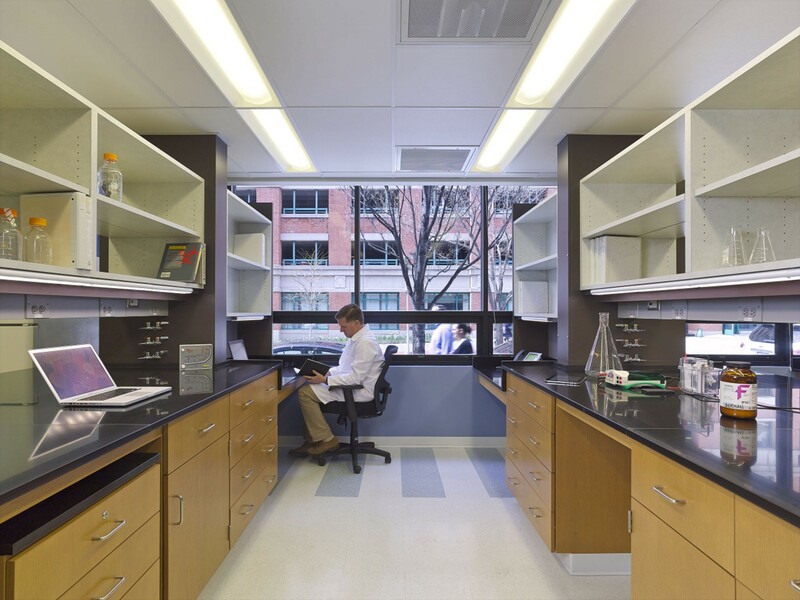 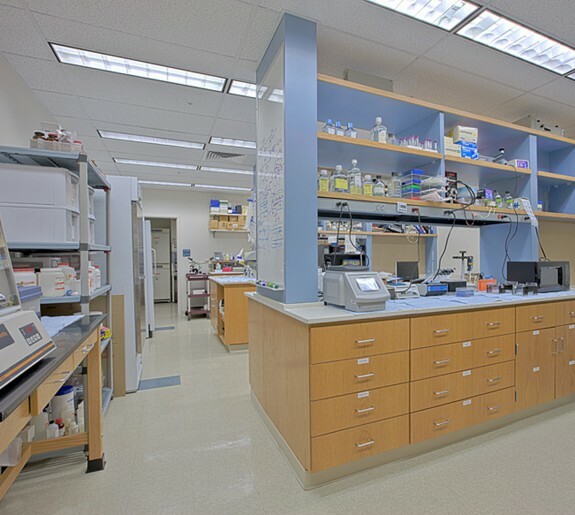 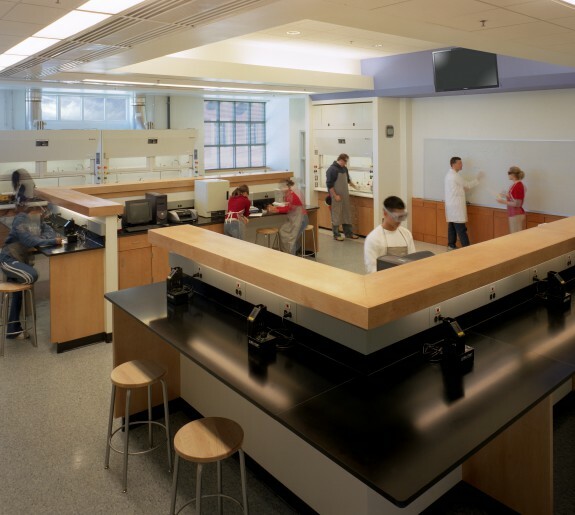 The complete renovation of 22,000 SF on three levels of the 39,000 SF General Research Building, formerly the Baltimore City Medical Examiner’s Office, into research labs for BioMet, the Center for Biomedical Engineering and Technology. 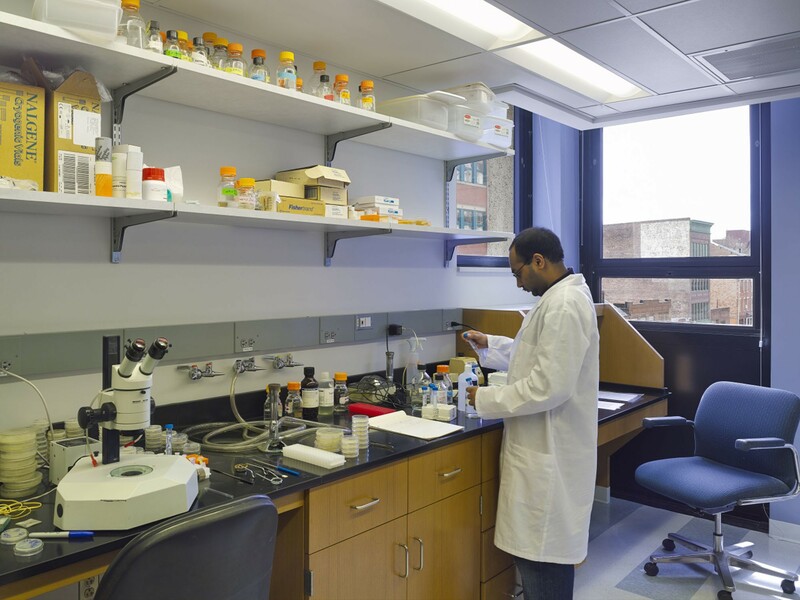 A collaboration between the UM School of Medicine and the UMCP Clark School of Engineering, the facility brings together biomedical researchers with engineers to develop new strategies and devices to enhance medical treatments. 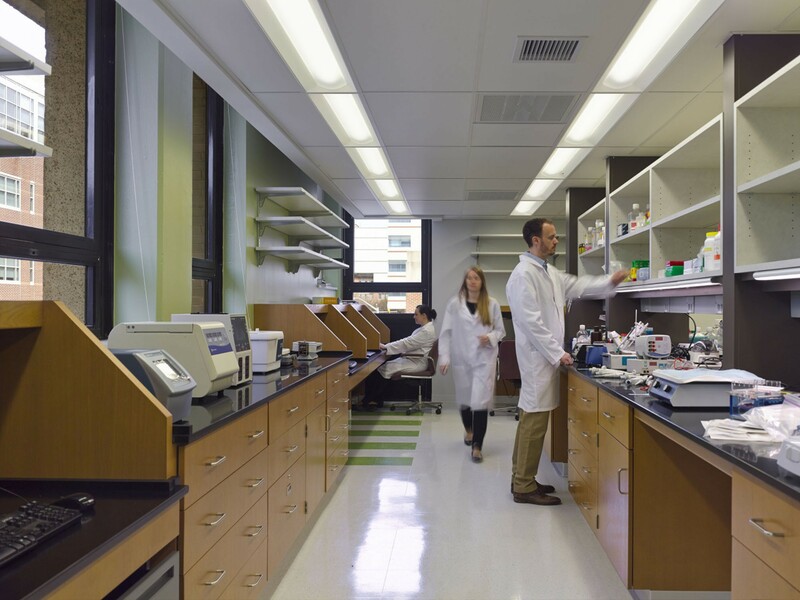 The General Research Building has provided a highly visible new location for the Center, with a new lobby renovation, providing an opportunity for a new identity on campus. 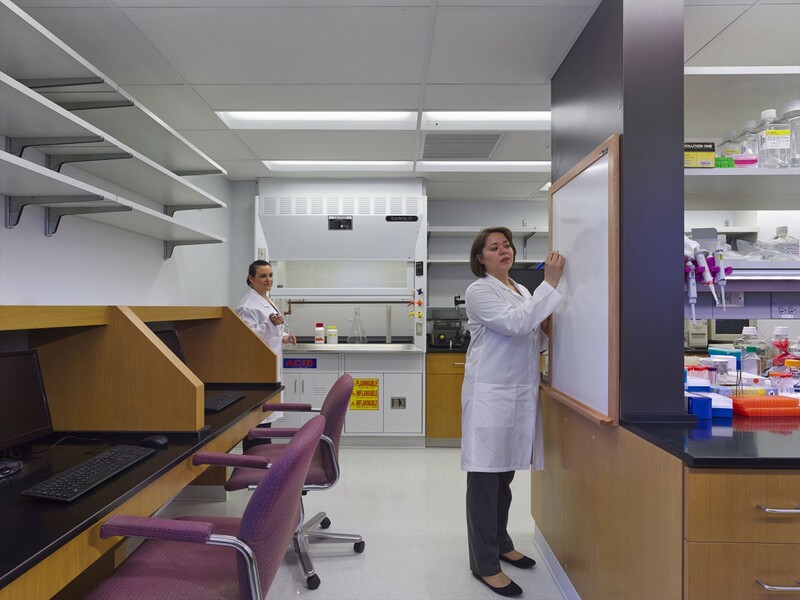 The renovation includes the faculty and administrative headquarters of the Center, five general research wet labs, one biosafety level 2 suite and a vivarium holding room as well as support spaces including imaging suites, tissue culture rooms, shared equipment and a cold room.